I own a couple of these style of cups. They’re great…in concept, but something got lost between concept and design. First of all, mine cannot be microwaved, or put in the dishwasher. You aren’t even supposed to put hot beverages in it. Therefore, this cup is an inconvenience. Secondly, the straw is hard, rigid plastic. I almost chipped a tooth on it the first time I drank out of it, and, if you were to trip or fall while taking a sip, I’m fairly confident that you would inadvertently administer your own tracheotomy. Thirdly, again with the straw, how the heck are you supposed to clean the inside of it? You’d almost have to buy a set of pipe cleaners to get in there, since you can’t drop it in the dishwasher. Sometimes I wonder how products like this made it to the market and are being accepted so widely. I have many awful childhood memories of trying to use this horrid contraption when helping my dad work on our basement. It surely wasn’t built for children’s hands (or anyone else’s hands, for that matter). When you push on the bottom of the lever (to get the most leverage), the top of the gun (from which the staple exists) may shift in position or get tilted, and the staple may miss its mark. If only there were some way to overcome this issue and make a staple gun more ergonomic…but wait, there is! The way that this staple gun is designed, you get the most leverage where you have the most power (between your thumb and first finger), and the staple exits right where the most pressure is being applied (at the top of the gun [the bottom left of the picture]). This design really is much better from an ergonomic/design perspective, but there is one major issue: People who are used to the non-ergonomic model are prone to holding the ergonomic model upside down and shooting a staple into their hands! I know several folks who have had this happen to them. Since the ergonomic model is held ‘upside-down’ (with ‘upside-down’ only being defined by the pre-existing, non-ergonomic model), some folks, unsuccessfully, try to hold it ‘right-side up’. It is for this reason that we must continue to evaluate our designs with regard to previously established perceptions to ensure that we do not defy or overwrite any assumptions that could lead to user injury (and putting a million warning labels on the product is not going to solve the issue). 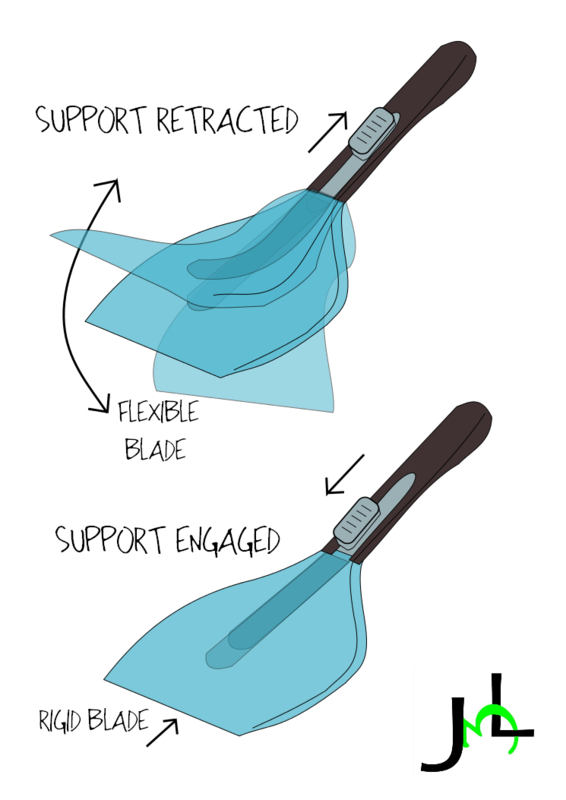 I felt that it was time for a glowing product design review, so here we go! I find odd things to obsess over – computer peripherals, bass guitars, watches, etc. Perhaps one of my biggest obsessions about a year ago was to find the perfect travel coffee thermos. It is dishwasher safe – the stainless version is, anyway. Again, it should be obvious, but many are not. It opens when you perform your natural drinking action. The drinking hole and vent both open when you push the nice, big button, and the beautiful thing is that the button is located where your hand would be anyway. No extraneous motion required, and the button is very easy to press. It closes the instant you let go. If you drop this mug while you’re trying to take a drink (thus releasing the button), it will seal right up. This also helps to keep your beverage warmer longer (since you don’t leave the vent open for any longer than necessary). The button cannot be accidentally actuated. The contour of the mug is ergonomic, but it also prevents the button from being pressed when the mug is on its side. This greatly reduces accidental spills. This baby makes a heck of a seal! If you put in very hot liquid, and let the mug sit for a little bit, the first time you hit the button the vent can spray a little. It’s not enough to stain or spray your clothes, but it is enough to give you a little bit of a startle if you’re not expecting it. As I mentioned, the sealing feature is very nice since it’s operated by a momentary button press…so how the heck do you clean it? If you put it in the dishwasher, it will not clean the hole that you drink out of (because this stays sealed). The hole is also too small for that tiny brush that fits in the end of most bottle brushes. 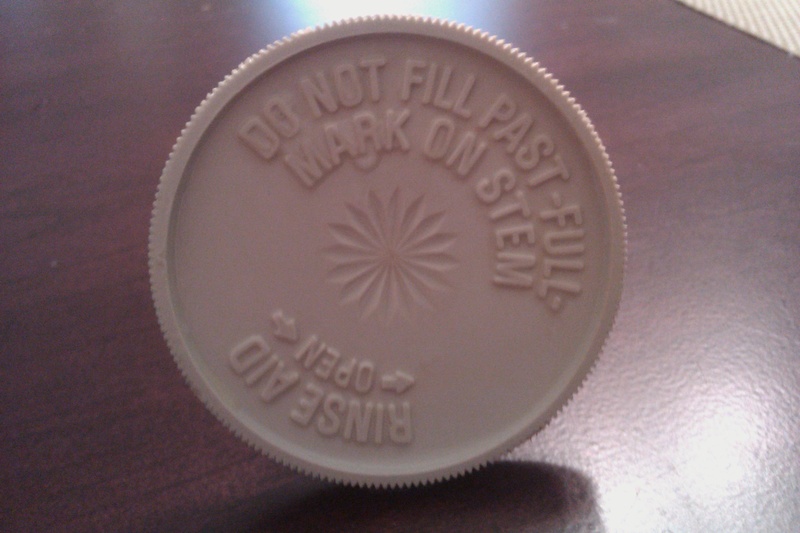 Again, pretty minor, but kind of gross if you can see some stale coffee on the internal part of the seal. Have you used the Contigo Mug before? How was your experience? What mug do you use on a daily basis? How do you like it? I really hope this has helps you, and I hope that, if you’re in the market for a new travel mug, you’ll give Contigo a try! 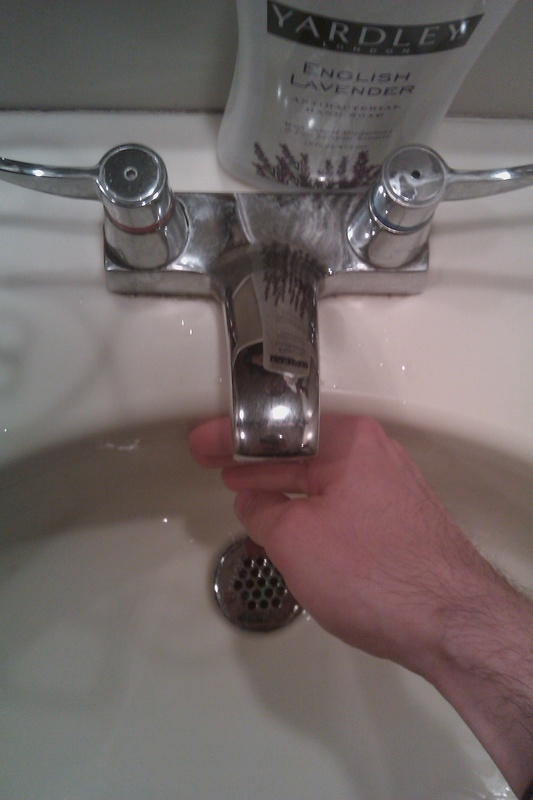 Why did they mount this faucet so far away from the edge of the sink (so you have to bang your hands up against the sink to wash them)? And, if you’re going to tell me that it’s a pre-drilled counter, then why did they choose those faucets? …but, most of all, why, when they put the two together, did they not fix it?